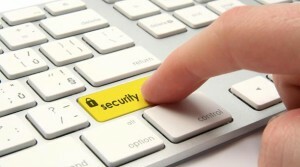 Duta Business School Indo: Business Desktops Need Security, Too! 10 Tips To Staying Safe and Virus Free! Business Desktops Need Security, Too! 10 Tips To Staying Safe and Virus Free! Brought to you by AVG Technologies, the provider of Internet and mobile security, privacy and optimization to 150 million active users. There's nothing small about small business in our eyes. Get more information on how AVG can help your small business stay protected – go to http://www.avg.com/us-en/internet-security-business. Business Desktops Need Security, Too! 10 Tips To Staying Safe and Virus Free! In an era when technology has evolved to the point where we're depending more on mobile and portable devices, we've come to rely on the desktop computer as a solid block that's impenetrable. In fact, the focus of malware (malicious software) developers has shifted significantly towards the mobile sphere. However, this doesn't mean that they're going to pipe down on attempting to infect desktop computers. The war over your desktop isn't over. Even if your business relies entirely on laptops, it's still running software made chiefly for desktops. The threats that knock on their doors are the same ones that can infect desktops. Even worse, some malware could infect entire networks, and all they need to do is land on an employee's computer. Keep an up-to-date antivirus program on each computer. This is a no-brainer, but it always helps to make sure that all virus databases are up to date everywhere, which will help keep those pesky viruses out of your precious network. Use the "principle of least privilege." This principle engages against security problems in a system by implementing the practice of avoiding administrative user accounts when they are unnecessary. Do not give employees administrative access to their computers. Create a separate user account with enough privileges to get work done. Administrative accounts are for system administration, not daily use. Keep Windows/Mac/Linux up to date. Even if it may seem unnecessary and sometimes inconvenient, keeping a computer's operating system up to date will put a lid on some vulnerabilities. Windows XP once had a vulnerability where hackers could tap into the remote access protocol and take control of a computer. These kinds of problems exist even in the latest operating systems. Viruses shouldn't be your only worry! Never allow employees to share passwords with each other. Avoid sharing one account for anything. Work computers are for work. While you may want to let employees browse around their social networks and check personal emails in their leisure time, you must not allow them to open any attachments or download anything to their respective computers. When storing sensitive data, make sure it's in a password-protected directory and, if possible, encrypted! Establish and enforce a policy in which employees will lock their computers or log out of them when leaving, even if they're leaving for a sip of coffee. If possible, disable any remote access. Remote Desktop and Remote Assistance are big vulnerabilities! The "if possible" is there for File and Printer Sharing. If you need these to function, then by all means keep them active. In Windows computers, restrict user accounts' abilities to use the registry editor (regedit.exe) and the command line (cmd.exe). Both of these can lead to accidental mismanagement of the operating system, which can cause catastrophic failure. Don't forget to install and configure a firewall. A proper firewall will prevent most malware that gets access to a computer from connecting to the network and doing more harm. After you've reviewed these policies and best practices, sit down with your employees and discuss them. They must know that you're serious about running a tight ship. And to ensure that no one forgets how to stay safe, here's a good idea: Get mouse pads with your computer use guidelines printed on them. This way, your employees will always have a reminder!